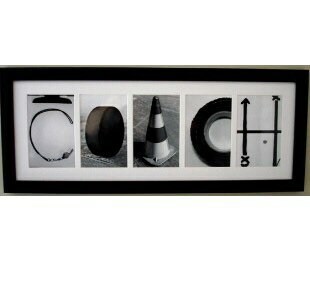 Hockey Coach Frame Montage - Perfect gift for the hockey coach! Great way to show your appreciation for the coach with this unique gift. 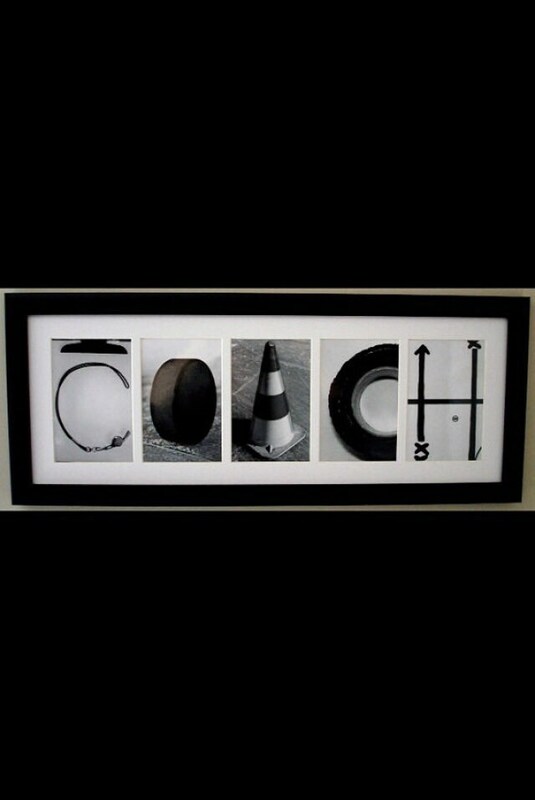 This distinguished black matted frame with hockey photos spelling out "COACH" will add a great conversation piece to any room. You can also customize this by having the team sign it. The coach will treasure this and it will be a great way to remember the season. You can easily slide the clips over and remove the back to take the mat out for signing. Just remember to have the team avoid signing the edges (1/4" around the border of the frame of the mat) as it will be covered by the frame. We also offer other hockey montages spelling out "HOCKEY", "GOALIE", and "LOVE".